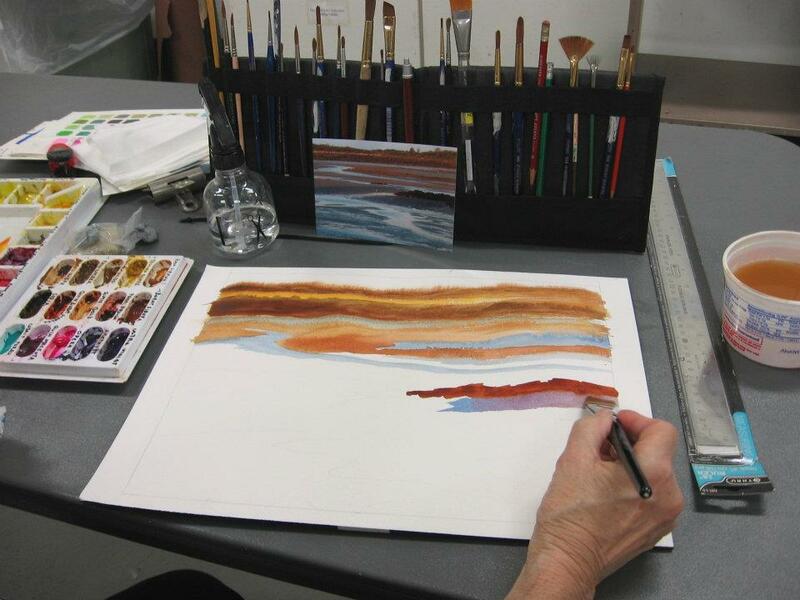 Explore all the tools and materials, skills, and painting approaches in watercolor without the investment. The pace and scope of the class will be adjusted depending on the skill level of participants. Some of the painting techniques covered will include graded washes, wet-in-wet, drybrush, spatter, scraping, and masking. Composition, draftsmanship, and color theory will also be discussed. Bring a lunch. Supply list provided.